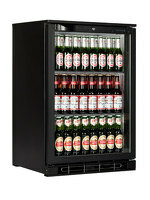 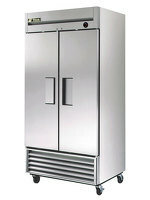 The PT1300 has lockable castors to manage your shelves and Euronorm trays in your unit. 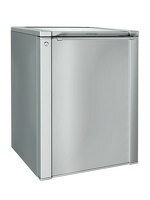 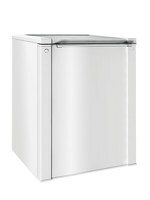 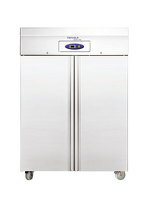 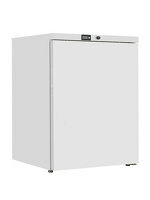 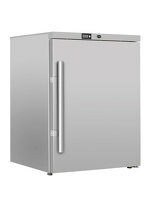 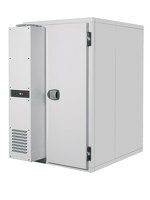 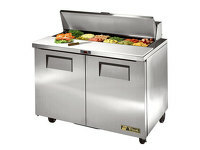 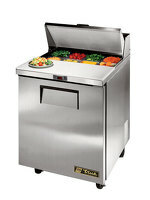 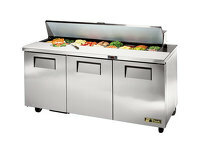 With a capacity of 580 liters, there is plenty of room for all of your cooking needs. 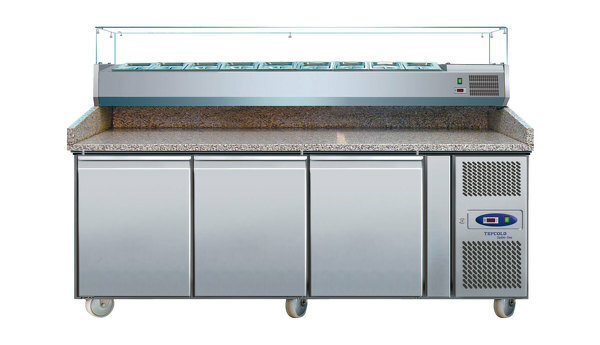 The digital thermometer allows adjustable temperature and fan assisted cooling in this pizza preparation counter. 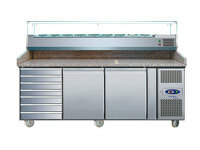 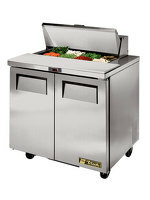 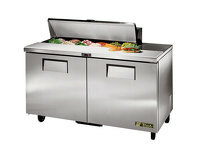 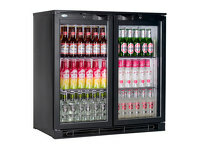 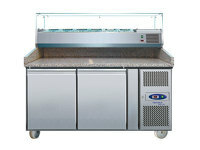 This preparation counter allows 600mm by 400m trays and a shelf with each door. 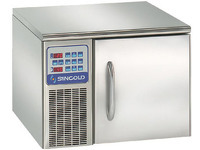 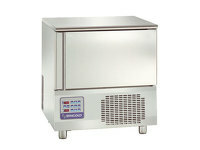 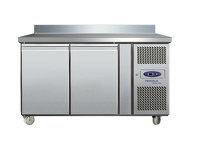 The topping units fit 1/3 gastronorm pans and a temperature that is between 2 and 5 degrees C.